Nothing beats spending a sunny afternoon at a nearby farmer’s market, picking up fresh produce grown only a few kilometres away. The “buy local” philosophy has been spreading beyond the farmer’s market to restaurants and boutiques – and now to Toronto’s public institutions like the University of Toronto. U of T Scarborough, for example, is working with its food services provider Aramark to find ways to source local food. U of T's downtown Toronto campus already sources and buys local food. Since the campus' food services began operating in-house, those volumes have increased, according to Anne Macdonald, director of ancillary services. In that same vein of "buying local," U of T Scarborough has also partnered with an organization called Hammer Heads, which hires local apprentices for on-campus construction projects, most recently at the Environmental Science and Chemistry building and at Highland Hall. The university's downtown Toronto campus is now hoping to do something similar. 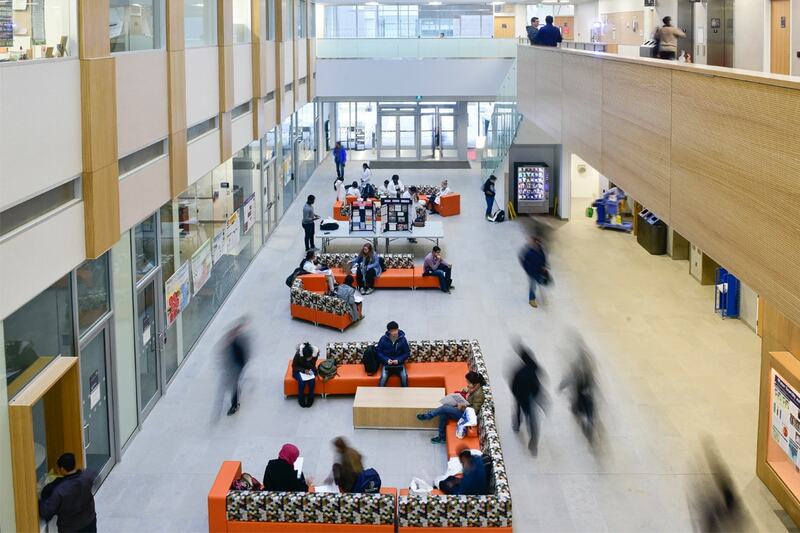 U of T is looking to expand its community engagement with local businesses and workers by teaming up with the Atkinson Foundation and anchor institutions such as the City of Toronto and public sector organizations like the TTC, Ryerson University and Toronto Public Library. Anchor institutions are public or non-profit organizations rooted in their community, hence the name of the initiative, AnchorTO. Along with U of T, 13 institutions have signed on, pledging to research and create a plan for sourcing and utilizing local goods and services – a practice called social procurement. “It is to our benefit to ensure that the community is as successful as it can be because it’s essentially a symbiotic relationship,” says Sheila Brown, U of T’s chief financial officer. For U of T’s Director of Procurement Services Renata Faverin, it’s important that AnchorTO takes a collaborative approach to procurement. “It’s about working on projects and identifying ways, always within our regulations, to encourage participation and further economic development for our disadvantaged communities, our smaller suppliers,” she says. Implementing new procurement strategies will be complicated, guided by the legal framework already in place, says Brown. “We must do everything in accordance to the current rules, which are complex, and the current rules in Ontario,” she says. Arifuzzaman believes all that hard work pays off for the university and the community at large. That's what he hopes will happen in Scarborough.